This week I will be celebrating my 15th year of active volunteer firefighter duty. As you naturally tend to do when celebrating milestones like these, is to reflect on the past years and learnings. One thing that specifically stood out are moments in my IT leadership career, where I applied firefighter techniques and skills, I picked up over the years. Most of them revolve around problem solving and how to get the most out of teams. While there is an obvious link between firefighters and solving issues in a high pressure or crisis situation, I did learn the same tactics also apply to any challenge I was confronted with. In business and especially at higher leadership levels some problems may seem very daunting, creating anxiety and leave you with the feeling of being overwhelmed. 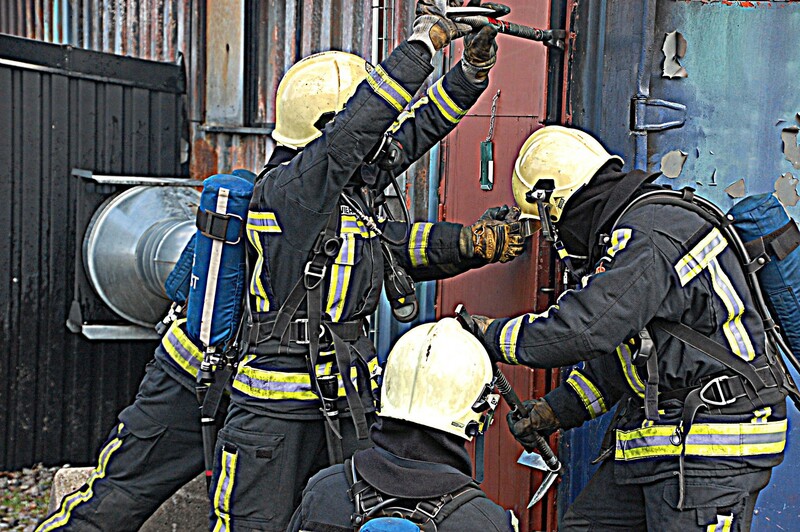 Firefighters are used to stepping in to highly unknown situations with confidence and as such a protocol like above helps to, step by step, gain control of the situation. First size up the problem — assess the situation. This means getting a full picture of the situation or project, not only focusing on the problem. For firefighters this means getting a full overview of the building structure and structures around it. This is also where we start to slice & dice the problem; sometimes the problem is to big to handle with one crew and you will need help. As getting a second crew in will take some additional time, you make a quick judgement call to focus on the most urgent issue. In a building fire, it may be focusing on a specific floor or area of the building, leaving the other areas for other crews. Slice and dice your problem in to manageable elements. Next we locate the actual fire or problem. The focus here isn’t on the actual source of the problem, but how it impacts its surroundings. During the actual incident, firefighters will never argue over the root cause of the problem as controlling and resolving the situation is of first importance. Root cause analysis is done in the evaluation and after-action review phase. Problem solving in some companies gets completely paralysed by extensive arguments over the root cause and blame, massively delaying the resolution of the problem. Locating the fire is done by multiple two-men crews directed by supervisors (Truck commander or Chief), providing the eyes and ears in the field. These frontline teams need too constantly asses the situation and report anomalies, as these may point to trouble that might lie ahead in the larger context of the situation. For the supervisors or management it is really easy to jump to conclusions in this phase. Thinking ‘I have seen this -or- have been here before’ without knowing the details from the field can lead to catastrophic decisions. As a VP in a large publicly-traded company, I know and acknowledge how far I’m removed from the day-to-day operation. Much to the annoyance of some of my middle management, I will contact frontline team members directly, trying to understand the problem and its context. Empower your team members to provide you with details and context of the situation. Knowing the fire’s location, its also important to know its path; where has it been, where is it going. In firefighting we will look for Smoke, Flow, Temperature, Flame (RSTV model in Dutch) and how to control these elements. This is about knowing the factors that keep your problem going and how your problem will react. Solving a problem is easier with a clear problem definition. The challenge in firefighting as well as in business is to not get distracted by the ‘attractive problem’ and the ‘obvious solution’. In firefighting this happens when only focusing on the flames (attractive problem) and extinguishing that directly (obvious solution) but that will lead to generating lots of steam with negative results to the firefighters and potential victims. Cooling the hot smoke from the fire, actually will cooldown the fire with less steam. In business this can be an employee making a mistake and firing him as a obvious solution, while fixing the systemic failure underneath may be a better solution. When moving to the extinguish phase there are still many unknowns but this doesn’t hold firefighters back in being decisive. Indecisiveness in these critical situations creates uncertainty and uncertainty is bad for moral of the troops. In dealing with business problems its better to make (quick) decisions and not let the problems linger on too long. During the whole process firefighters will take opportunities to rescue & salvage when ever they can, not waiting for a specific phase to finish. While addressing your business problem, if you spot any high priority item that can be immediately fixed, you should do it immediately. After dealing with the problem, it is time to reset and evaluate. Reset is important in high pressure and crisis situations to make sure staff gets some downtime and is able to prepare for the next incident. Evaluation provides the ability for management and teams to reflect on how they handled the situation (process) and the selected solution. The value of a good after action review, where views can be shared by everyone without judgement, is often neglected as businesses are quick to move on to the next situation. There are obviously far more area’s to apply firefighter techniques like relying on muscle memory, based on dry-runs, to improve incident response by IT teams, but that may be a topic for a next blog. Being a volunteer firefighter is not a job but a passion, so most firefighters are more then willing to share some of their learnings and methods with you. Go and visit your local fire-station some time. Listen, watch, learn. I’m sure it will be beneficial for your personal skills development.